Family members and estate beneficiaries of people who are killed in motor vehicle accidents have the right to sue for wrongful death benefits. Of course, financial compensation cannot rectify your loss completely, but securing the compensation that you and your family need to cope with loss and be financially stable in the future is important. What Is Included In Wrongful Death Benefits? 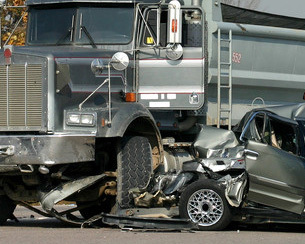 Compensation for your injuries and damages from a fatal car accident can be substantial. Our attorneys serving Manassas, Prince William, Manassas Park, Gainesville, Haymarket, Woodbridge, Lake Ridge, Dumfries, Bristow, Warrenton, Centreville, Fairfax, Stafford, Chantilly, Leesburg, Ashburn, Sterling, Herndon, Reston, Alexandria, Annandale, Arlington, and Northern Virginia, will help you fully understand your legal options and obligations, and we will build a comprehensive case for the maximum compensation that you deserve. It is important to work with a law firm that can establish the value of your past, present and future losses and damages. At Carluzzo Rochkind & Smith, P.C., we will go to trial and fight for justice on your behalf. Working in your best interests means that we don’t always have to go to trial for all of our clients. We may be able to reach a settlement with the insurance company of the at-fault party through initial mediation or in negotiation. We will independently investigate the cause of the fatal accident, and we will do whatever it takes to secure the compensation that you are entitled. Speak With A Lawyer At CarluzzoRochkind& Smith, P.C. Please contact us by email or call us at 703-361-0776 to schedule a free initial consultation. Don’t entrust your recovery to an insurance company. Get advice and representation throughout the process from a law firm that works exclusively in your best interests. Our law firm handles all accident cases on a contingency fee basis.